Where do I take the first step? Grant is the only instructor and instructs weekends only. or Christchurch. See: www.nzhgpa.org.nz under Schools. How much am I looking at, money wise, to get an intro to it? Introductory 1st day – $110. How much does it cost to go from absolute beginner to flying solo, just a ball park figure? You will be solo from the start! Anything from $400 to $800. 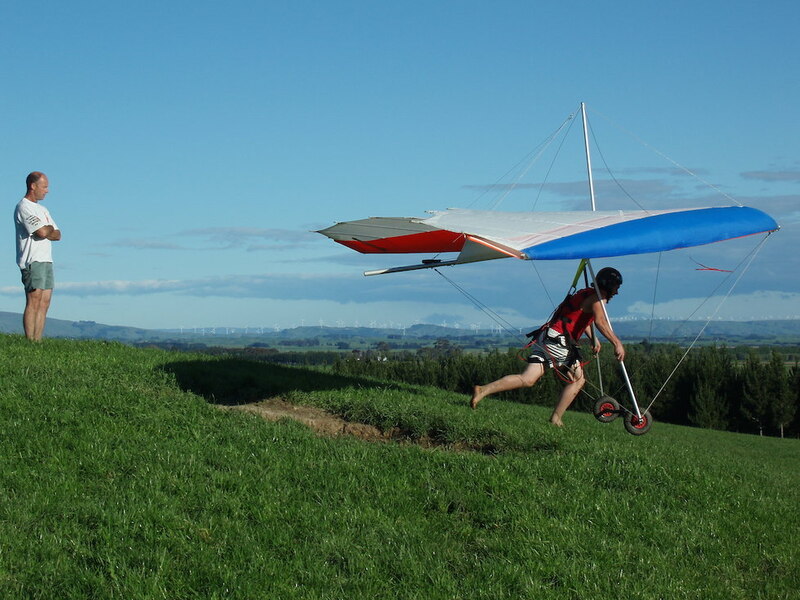 Your own gear – something round $2000 for good secondhand airworthy glider, harness, helmet. Lots of other bits, but that’ll get you flying. During instruction you will use club equipment. Is there training done in Wellington? Wairarapa only, though for later flights, will use Paekakariki and Mt Climie. 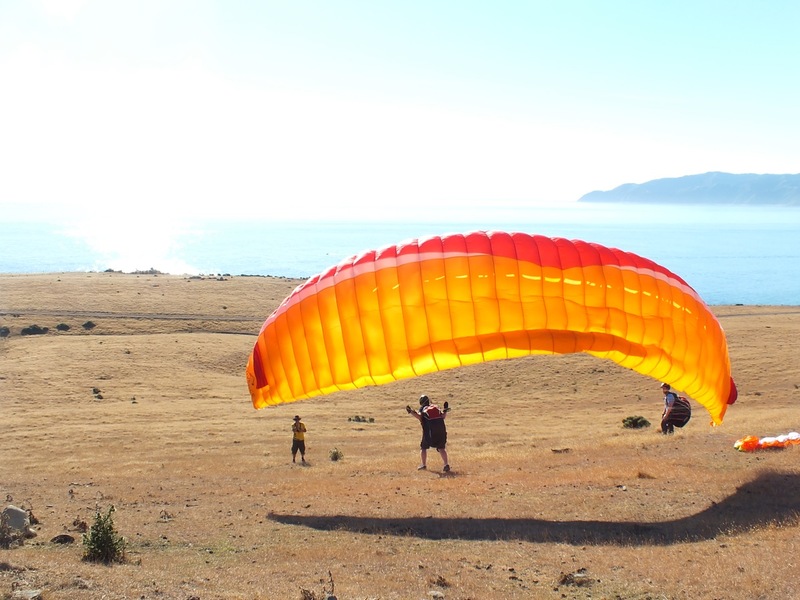 Oceania Paragliding School offers PG1 and PG2 paragliding courses in the Wellington Region. Safety for students is a priority; with an inventory of new modern equipment from European Manufacturers and up-to-date teaching techniques, we offer services that satisfy NZHGPA and international instructing standards. If you are looking for a tandem flight, you can contact Chris Connolly.